See if your team can push your way into the heights of the leaderboard. 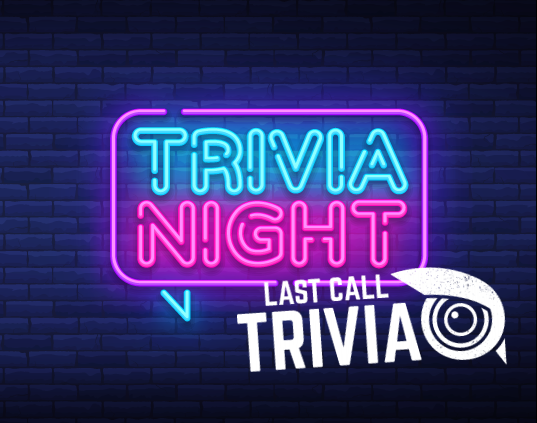 Last Call Trivia brings trivia excitement to a new level and puts a new spin on the trivia experience – everyone is sure to enjoy! In needlework, what does UFO refer to? He’s “smarter than the average bear”, but what’s the name of the most famous resident of Jellystone Park?